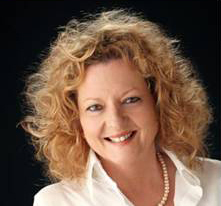 Vicki Bennett Training was established in 1980 to provide training programs on customer service, effective communication, achieving outcomes, leadership and building effective teams. These programs have been adopted by many companies in Australia and internationally, including, Adecco, American Chamber of Commerce, Australian Institute of Management, BHP, BP Oil Australia, Brisbane City Council, Collection House Limited, Conrad Hotels, Queensland Education Department, Horsey Jameson and Bird, IBM, Lever & Kitchen, Main Roads Department, Mobil Oil Australia, National Speakers Association USA, Powerlink, QAD, Raine and Horne, SEPR, Shell Australia, St Andrews Hospital, Sun Alliance, Tasman Aviation Enterprises, Time Warner Inc and the Westpac Bank. Vicki has also worked with leadership teams in government, helping to build the leadership skills and the strategic direction of corporate teams. Her vision is to be of service and to contribute to the marketplace by being a valuable catalyst for change and growth. She believes that, to achieve our vision, we need to speak openly and honestly with others, go past the point of discomfort to solve problems, take responsibility for the experiences we create, be alert for opportunities and keep our hearts open. Her goal is to be an excellent catalyst for change and a valuable resource to assist managers and teams to achieve their potential in all areas of operation; including sales, production, support, marketing and management.